July 20th was a big day for Apple. They had 3 Major Hardware releases, 1 Software release, and one discontinuation. Through the Mac App Store Apple released their next version of Mac OS X – Lion. It was around a 4GB File download. Over Wi-Fi on my laptop it took around 6 Hours to download. From 6 in the morning till Noon. After that it took around 30 Minutes to fully install. If certain people’s Internet connection is too slow to download Lion or they have a Bandwidth Cap, Apple is allowing users to bring their computer to an Apple Retail Store and download Lion from the Apple Store’s internet connection; for no extra Cost. For people who don’t have both if these options Apple is will sell a USB Flash Drive in August for $69, that’s a $40 Price Hike. Unless you’re willing to pay extra, really try and find a place to download Lion. Here is a link to the Press Release. Apple updated their MacBook Airs to include Intel’s Ultra Low Voltage Core i5 and i7 Processors. They also put in Thunderbolt and brought back the old Backlit Keyboard. With their new CPU’s the MBA’s are almost 2.5 Times faster than the last-gen MacBook Airs. But everything else about the MacBook Air is the same; the price, Flash Storage, and RAM. Apple also revised their entry-level Mac, the Mac Mini. The size is still the same but their are new CPU’s (Core i5 and i7) and new discrete GPU’s. You can add up to 8GB of RAM, SSD’s, and Faster Hard Drives. The new Mac Mini also includes Thunderbolt connectivity. Apple took out the SuperDrive from the Mac Mini. But you can buy a the MacBook Air Super Drive ($70) if you need to use DVD’s and CD’s. And Apple lowered the entry price to $599. Lastly they introduced the Thunderbolt Display. It’s pretty much the same 27-in. Cinema Display Apple used to have except now it includes a FaceTime HD Camera and on the Back it has a Gigabit Ethernet Port, FireWire 800, 3 USB Ports, and an Extra Thunderbolt port. It still cost’s $999. Now we come the the Unfortunate news. Do you remember that White polycarbonate MacBook that started at $999? Well Apple has discontinued that Product. So now the cheapest Apple Laptop you can buy is the 11-in MacBook Air. The MacBook used to be the most popular Mac before the 13-in MacBook Pro was released. But it was soon forgotten. May the MacBook Rest in Peace. Apple did say they will continue making the MacBook for education services. Through out this week I will be posting more stuff on Lion and the new Mac’s, so keep out on the lookout. Apple has updated two of their six Macs to include Thunderbolt Connectivity. But there weren’t any cables or devices to use Thunderbolt with. So Today Apple has release a Thunderbolt Cable for $49 on their Website. Using the Thunderbolt Cable you can use the new 2011 iMac as an external Display with a 2011 MacBook Pro. 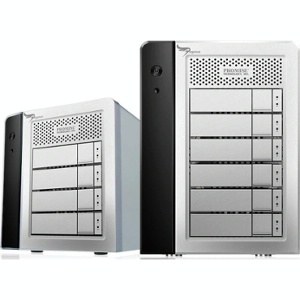 Along with the Thunderbolt Cable they are selling 4 RAID systems form Promise Pegasus. RAID is an acronym for Redundant Array of Independent Disks, which is a fast and secure system to store information by distributing data between different Disk Drives. There are 4 choices to choose from; a 4x1TB for $999, 4x2TB for $1499, 6x1TB for $1499, & 6x2TB for $1999. Starting at 1 Grand and going all the way to 2 Grand these RAID Systems are pretty expensive and cost almost as much as the iMac and MacBook Pro. On May 3rd Apple released new iMacs with mainly internal upgrades and a slight external hardware change. One change on the back is that the 21.5 has a Thunderbolt port on the back which you could also use as a Mini-Display Port. However the 27 in. model has two Thunderbolt ports. So what Engadget did was add two 30in. displays to the 27in. iMac so there were as much pixels as anybody could wish for. But right now the only thing Thunderbolt can be used for is external displays because Thunderbolt cables aren’t out on the market anymore. Another change was that, like it’s cousin’s the MacBook Pro and MacBook Air, it doesn’t have an iSight Camera it has an HD FaceTime Camera. And the major change for these new iMac is the CPU‘s and GPU‘s. With the 21.5-inch you can get a 2.5 or 2.7 GHz quad-cor e i5, it’s also upgradeable to a 2.8GHz Core i7. While with the 27-inch a 2.7 or 3.1 GHzi5, and it’s upgradeable to a 3.4GHz Core i7. Like previous iMacs these new ones also feature Turbo Boost 2.0 which can boost processing power to 3.8GHz. Overall I think this is a good update to the Apple’s all-in-one Mac desktop series. And if anyone asks you what the best all-in-one computer is, you know what to say. Thursday Apple updated their MacBook Pro line of Notebooks. Many Tech Blog’s have been predicting this update for quite a while, as it has been almost a year since it’s last update. There have been four major upgrade for the MacBook Pro; new Graphics Card, Intel’s new Sandy Bridge Processors, a FaceTime HD Camera, and a new High-Speed Transfer I/O Port called Thunderbolt. Graphics Card: 13in. Model has an Integrated Intel HD Graphics 3000. While the 15in. and 17in. model have an Intel graphics and a AMD Radeon HD graphics card with either 256MB or 1GB. For the larger two models the computer can sense if more powerful graphics is needed than it turns on the AMD Radeon HD Card’s on, other wise it will be using the just the Intel Graphics. Processors: 13in. MacBook Pro has two models; one with 2.3 GHz Dual-Core Intel Core i5 and the other has a 2.7GHz Dual Core Intel Core i7 Processor. The 15in. MacBook Pro also has two models; one has a 2 GHZ quad-core Intel Core i7 while the other has a 2.2GHz quad-core Intel Core i7. Lastly the 17in. has only one model the 2.2GHz quad-core Intel Core i7. All of these processors are really powerful Sandy Bridge Processors with either dual-core or quad-core CPU’s. A change in the architecture of these chips are that most of the major parts are all on the same chip. So data doesn’t need to travel very far between chips. Everything is very close together. Another major feature is called Turbo Boost. Turbo Boost let’s you shut down or 1 or 2 cores and raise the speed of active cores to up to 3.4GHz. Now that is extremely fast! One last major feature is Hyper-Threading. Hyper-Threading is kind of confusing. So what it does is that it can run two actions at the same time as if you are using the power of two cores with only one core. So at the end Mac OS X can sense the chip as up two 8-Cores. Making the machine very powerful. Thunderbolt: Thunderbolt is a new type of data/transfer connection. It can send Data to and from peripherals and Macintosh HD. The technology was first developed by Intel under the code name Light Peak. The main thing is to be able to connect PCI Express based peripherals. But PCI ix an internal connection in the laptop so, you can know use Thunderbolt. The new technology not only can use peripherals for Data Transfer but also for Display Connection. 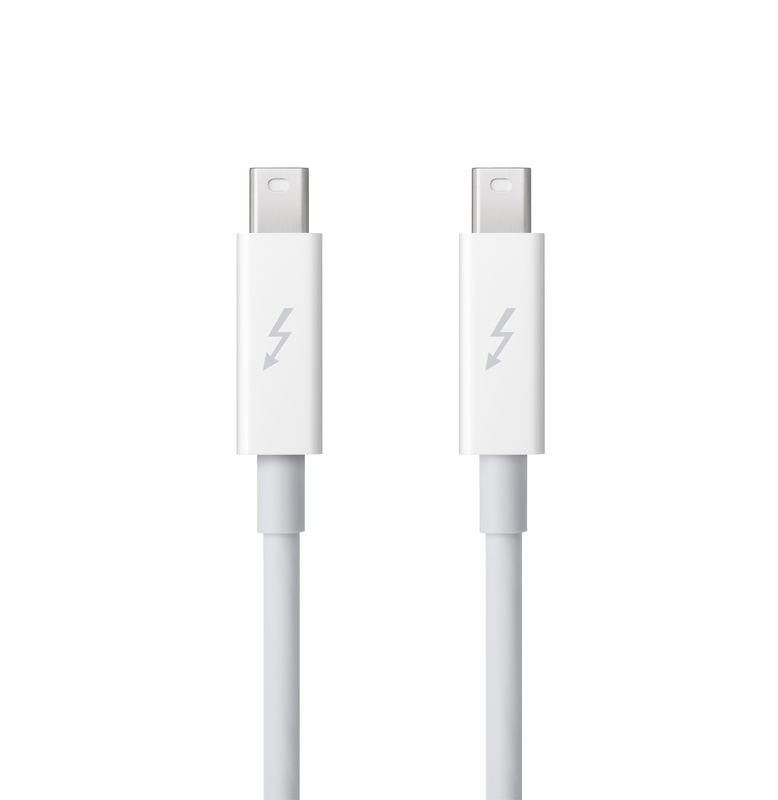 The Thunderbolt connection is exactly the same connection, which on older laptops was know as Mini DisplayPort, that’s why it also allows for Display Connection. Speeds for Thunderbolt are said to be at up to 10GB per second. That’s blazing fast even compared to USB 3.0 which has 5 Gbps. Put it in to perspective of copying 2 Full HD movies in around a minute. HD FaceTime Camera: Now the MacBook Pro come with an HD FaceTime Camera that can record 720p wide screen video. Before the latest MacBook Air, camera’s on the display’s were called iSight Camera’s, but now everything is following the iOS path and calling it FaceTime, which is Apple’s answer to Video Calling. FaceTime is also now out of Beta and the full version is on the newer computers. For older Mac’s you can buy the full version on the Mac App Store for 99 cents. To get information on pricing click this link and to read more about the features of the MacBook Pro click this link. The Mac App Store is Released!!! Finally after around 3 months of waiting the Mac App Store is released! Mac App Store comes with Mac OS X Update to version 10.6.6. The Mac App Store is pretty much a Mac software shop to get Free or Commercial Software for your Mac. The User Interface for the App Store is what it looks like for the App Store on iTunes combined with the App Store on an iDevice. To start off as soon as you open the App it asks you to log-in to your iTunes Account; so when you buy an App it uses the Credit Card info connected to your iTunes Account. Also there is a Search Bar to search for apps. There are 5 Categories in a Menu Bar up on the top of the App. Those categories on the top are: Featured, Top Charts, Categories, Purchases, and Updates. Downloading an App: Downloading Apps is the easiest part in using the App Store. When you’re on the page of the App you want, under the App Icon it will either say Free or a Price, all you have to do is click that and then the App Icon flies into your dock and begins to download and install automatically. Then as soon its finished loading the App is ready to use! And when Jobs says “Back to the Mac” he literally means it. He talked about how Mac OS X the most advanced OS in the world helped develop iOS. After iOS that paved the way for the iOS for iPad and now some ideas commonly used on the iPad are being taken “Back to the Mac”. During this preview Apple showed three new major features and some minor things. Minor Updates: Almost all the Apps can be run in Full Screen, and a more multi-touch gestures. Mac App Store: Like the famous App Store on all the iOS devices, an App Store is coming to a Mac near you. Apple said that they will release it 90 days from the date 10/20/10. The same rules for the iOS App Store apply to the Mac App Store too. Ex: Profit Shares are 30/70 toward the developer. Apple said that you can use the same iTunes Account and that it is extremely easy to download an App. As soon as you read about the App and decide to download it the icon pops out of the Mac App Store and Onto your dock. My Opinion on the Mac App Store: I think that the Mac App Store is an amazing idea, especially for developers. Now there is a way for Mac users to have one place to find Apps they want or need. It will be easier for developers to have their App been known other than someone having to find it on their own. Luckily the Mac app Store won’t be the only place to get Apps which is a relief, because that would mean Apple would be taking control over Mac as well as your iPhone, and apps you want that aren’t on the App Store aren’t available to you unless you jailbreak it. But what Apple is doing right now is a gate way for developers and consumers. Mission Control: Mission Control is an extension upon the already amazing feature of Expose. Now it groups all the windows of the same app in a pile, it displays all the Full-Screen apps on the top of the screen, and a display of Dashboard, your desktop and all your spaces. You also have a full, clear view of the dock. Launchpad: Launchpad is one of the main ideas that has come from the iPad. This is a new way to access all your Applications. It’s User Interface is like the iPad with pages of Apps, where you can switch through pages with the and can create iOS like folders. You can group Apps into pages and move them where you want. These were the new features that Apple showed off last wedneday. To find out more about Lion click this link. Please Subscribe, Rate, and Comment.